Explanation: Earlier this month, Venus and Mercury climbed into the western twilight, entertaining skygazers around planet Earth in a lovely conjunction of evening stars. 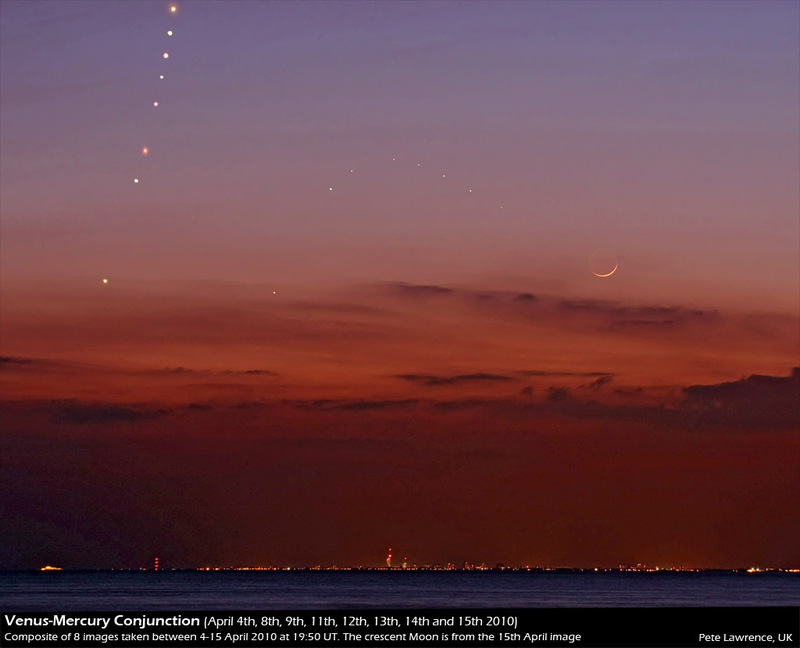 Combining 8 images spanning April 4 through April 15, this composite tracks their progress through skies above Portsmouth, UK. Each individual image was captured at 19:50 UT. The sequential path for both bright planets begins low and to the left. But while Venus continues to swing away from the setting Sun, moving higher above the western horizon, Mercury first rises then falls. Its highest point is from the image taken on April 11. 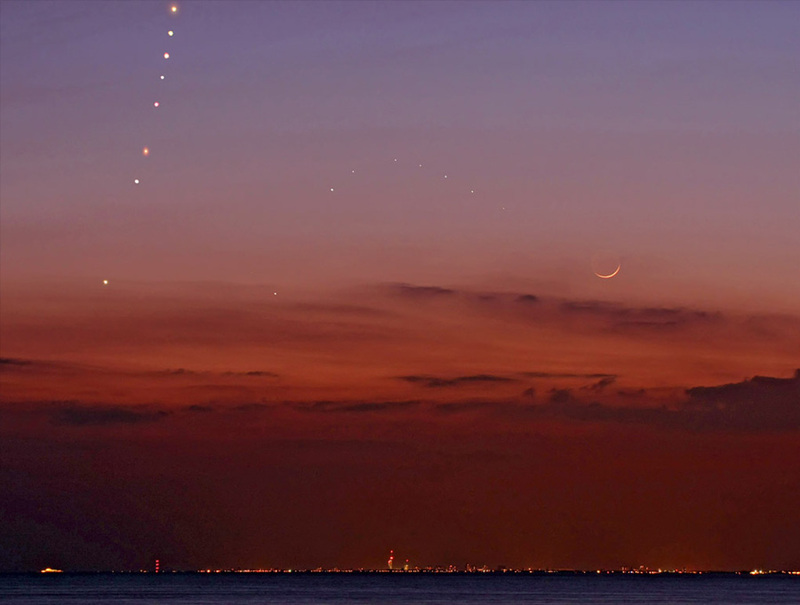 Of course on April 15, Venus and Mercury were joined by a young crescent Moon.